Agricultural Precedents Handbook from LexisNexis (formerly published by Jordans), now in its third edition, is a specialist publication providing those advising farmers and other members of the rural community with a comprehensive collection of time-saving and reliable precedents, accompanied by a very useful commentary. The precedents range from those dealing with the acquisition and sale of agricultural property to tenancies governed by the Agricultural Holdings Act 1986 and the Agricultural Tenancies Act 1995, residential tenancies, grazing agreements, alternative land uses, livery arrangements for horses, shooting leases, partnership agreements and contract and share farming arrangements. 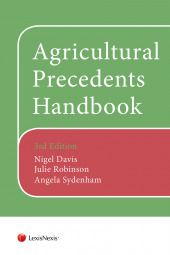 Agricultural Precedents Handbook is written by leading practitioners in this area and offers a library of precedents in twelve separate chapters, covering many of the types of transactions that are likely to be met in day to day practice. A CD accompanying the book contains all of the precedents allowing users to download and adapt each document as necessary. There are over 100 precedents in the revised edition. The new edition has been thoroughly revised and updated to take into account major developments in the law since the last edition in 2009, including the introduction of the Basic Payment Scheme and consideration of and suggestions regarding the situation leading up to and then post Brexit, with appropriate suggested wording for new documentation, changes to the model clauses regulations under the Agricultural Holdings Act 1986 as well as the tenancy succession application regime following the replacement of the Agricultural Land Tribunal by the First-tier Tribunal, and changes to the Agricultural Tenancies Act 1995. 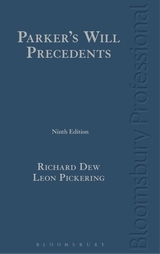 In addition to the new precedents in this third edition, the latest forms required for succession applications on retirement and death in the First-tier Tribunal are included as well as updated tenancy agreements, forms of notice, and other documents all of which incorporate reference to current statutes as well as, where appropriate, endeavouring to deal with the anticipated post-Brexit situation. This entry was posted in New Products on 03/12/2018 by Admin. Written under the general editorship of two specialist employment law practitioners, with contributions from their respective Chambers and Law Firm, Employment Covenants and Confidential Information: Law, Practice and Technique, Fourth Edition provides a comprehensive yet highly practical analysis of the law and practice in this area of employment disputes, setting out appropriate strategies from both the employer’s and employee’s perspective. The book focuses on how to prevent competitive activity by an employee or former employee and what to do when it happens. Clear guidance is given on drafting to minimise the risk of competitive activity, what activities an employee or ex-employee may and may not undertake and the remedies available where competitive activity occurs. 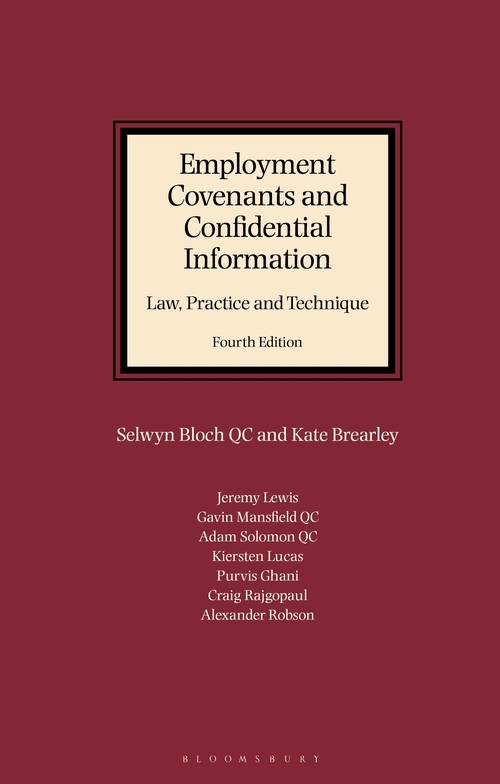 Employment Covenants and Confidential Information, Fourth Edition is essential reading for all employment law practitioners, HR professionals and company directors responsible for drafting and enforcing employment contracts. Through the use of checklists, flowcharts, precedents and case studies it translates theory into practice. This entry was posted in New Products on 15/06/2018 by Admin. 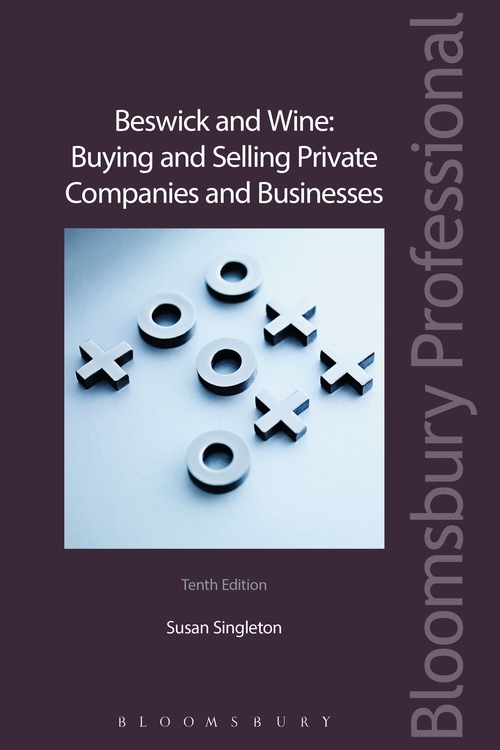 Structured to reflect the process in practice Beswick and Wine: Buying and Selling Private Companies and Businesses focuses on the key commercial, tax and legal issues that arise from business sales. By addressing fundamental issues from the perspective of both the seller and the purchaser it is a perfect handbook for all those involved in such acquisitions. From due diligence through to completion of the share purchase or business transfer agreement Beswick and Wine: Buying and Selling Private Companies and Businesses contains clear, expert advice. Sectoral specific changes such as changes to intellectual property and competition law and impact on due diligence process including EU data protection regulation. It also includes checklists, draft enquiries, letters of disclosure and a specimen completion agenda, together with an accompanying electronic download containing all the precedents in the work. This entry was posted in New Products on 19/02/2018 by Admin. Written by leading lawyers in the field and published by Jordan Publishing, this popular guide to the tax efficient drafting of wills, estate planning and administration provides practitioners with help and guidance, and discusses the typical problems and pitfalls that may be encountered in practice. The precedents have been carefully selected to deal in a straightforward fashion with the common needs of clients. A new chapter dealing with international aspects. This entry was posted in New Products on 15/11/2017 by Admin. 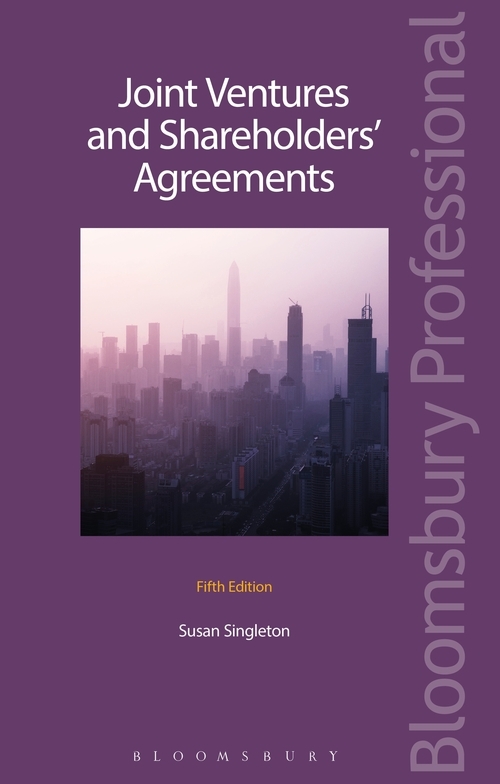 Joint Ventures and Shareholder’s Agreements by Susan Singleton is an authoritative guide to the law and practice in this core area of corporate law. 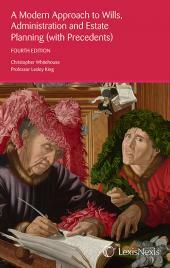 Distinctly practical and accessible in style, the book features case studies, precedents and checklists. The expert knowledge and insight enables users to identify the central issues involved in joint venture transactions, take effective instructions and draft good documentation using the precedents provided. Joint Ventures and Shareholder’s Agreements advises on how to structure and negotiate joint ventures and shareholders’ agreements for any type of private company, whether with corporate, individual or institutional investors or a combination of these. It offers practical tips, highlights the key commercial considerations and provides time-saving flowcharts and checklists which are invaluable when drafting agreements. Determine the key issues involved; Take effective instructions; Draft good documentation using the precedents provided. EU merger law changes including the mergers simplification package and UK merger law changes. The precedents are available electronically. This entry was posted in New Products on 21/08/2017 by Admin. Clark’s Publishing Agreements has long been the ‘must have’ legal resource for the publishing industry. This comprehensive book provides 24 model agreements, from author agreements, to merchandising rights to online licensing to ebook distribution to text and data mining. It includes a “Legal Developments” introduction giving an overview of existing and forthcoming legislation (UK and international). It also covers new initiatives undertaken by the industry and acts as an essential checklist for industry professionals. The impact of these developments have been updated in the precedents, their accompanying notes and appendices. It also includes an “Introduction to Electronic Precedents” which highlights the continuing developments in the field of technology and their impact on licensing practice and contractual wording. Whether an experienced drafter of publishing agreements or new to the industry Clark’s Publishing Agreements will prove invaluable in ensuring that your publishing agreements are expertly and effectively drafted. Parker’s Will Precedents, published June 2017 by Bloomsbury, provides private client solicitors and professional will draftsmen with a thorough understanding and working knowledge of the will drafting process and, as a result, the ability to draft better wills. The ninth edition includes coverage of the Residential Nil Rate Band (changing from April 2017) as well as new chapter on flexible life interest trusts and EC Succession Regulation. 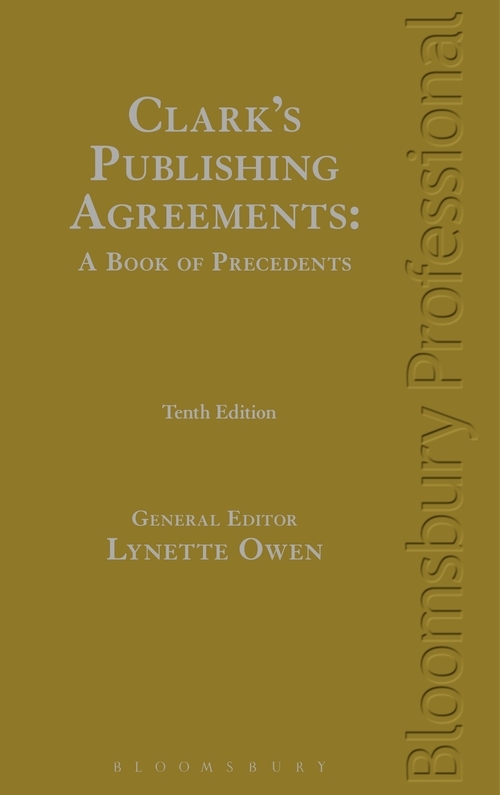 This book comes with an electronic download of the precedents, for you to adapt and use in your contracts. On purchase, you will be provided with a code and a web link from which the precedents can be downloaded in a generic format such as *.doc which will be compatible with all operating systems. This entry was posted in New Products on 14/06/2017 by Admin. 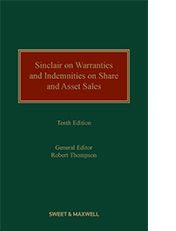 This practical text, edited by Robert Thompson and now in its 10th edition, contains precedents and commentary on warranties and indemnities on share sales. It provides guidance for all parties – purchasers and vendors – who have to deal with a sale and purchase agreement (“sale agreement”) for either a company or business. Provides guidance for all parties – purchasers and vendors – who have to deal with a sale and purchase agreement (“sale agreement”) for either a company or business. This entry was posted in New Products on 11/04/2017 by Admin. 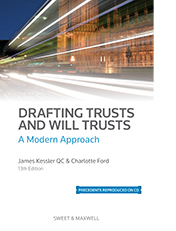 Written by James Kessler QC, Drafting Trusts and Will Trusts is a crucial guide to drafting and understanding will and trust documents. The work offers a comprehensive selection of precedents to suit a wide range of trust requirements, and helps ensure the practitioner can make the best succession planning judgements through the use of the correct trust. This entry was posted in New Products on 01/01/2017 by Admin. 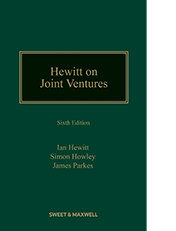 Hewitt on Joint Ventures 6th edition examines transactions where two or more existing companies agree to establish and participate in a common enterprise or business-related activity. It identifies the principal issues raised by a range of transactions, sets out the relevant background law and suggests ways of dealing with issues that arise. Hewitt on Joint Ventures is written in a clear and practical way covering a range of specialist areas of law affecting joint ventures alongside useful checklists and precedents. To provide detailed commercial guidance whilst being tailored for the practitioner. This entry was posted in New Products on 23/09/2016 by Admin.